Find the best youth flag football leagues for kids, including pickup games and tournaments, in the state of California. 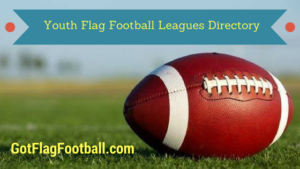 Below, parents will find the most up-to-date for 2019 list of fall, winter, spring and summer, indoor and outdoor local flag football leagues for boys and girls, as well as pickup games and organizations that offer tournaments, in order from the highest to least populated cities and towns in CA. GotFlagFootball.com brings together the local youth flag football California community of city recreational leagues, organized independent leagues and tournaments in on alphabetically ordered list, so that it’s convenient to find a game for your child, in an area near you. The County of Los Angeles organizes a huge number of flag football leagues. There are upwards of 30 options for your child, each of which have different specifics. This ensures there will likely be conveniently located leagues tailored to the needs of your child. 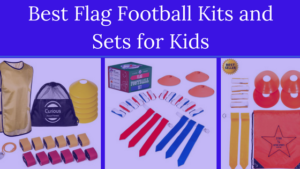 NFL Flag La Football offers leagues for children from the ages of 5 through to 14. Games are played on weekends, and leagues run in the Spring, Summer and Fall. It is available for both boys and girls, and every registered player is guaranteed a game every weekend if desired, with no tryouts required. A number of different YMCA locations provide flag football leagues, to allow your child to develop their football skills without the risks associated with contact sport. These leagues run throughout the year, and are available for children aged 7 through to 15. This organization runs 6v6 outdoor leagues for children in the San Diego area. Games are played on Friday nights, and at least one practice session is required to be attended per week. These practice sessions are held at local community parks, and are guaranteed by the league to be within a 5-10 mile radius of your home address. Cal Youth offers 5v5 flag football leagues for both boys and girls aged between 4 and 13 years. There are leagues in Spring, Winter, and Fall, and games are played on Friday nights. The seasons consist of 2 practice weeks, 6 regular season games, and a playoff tournament. These flag football camps are run over the course of the week, and provide your child with the fundamental skills of football and culminating in friendly tournament at the end of the week. The clinics are run for children between the ages of 5 and 12, and children are placed in groups based on their ability. 1st and Goal offers 5 on 5 NFL Flag Football to boys and girls ages 4-16. Games are on Saturdays 9-4 and practices are twice a week at various local city parks. 1st and Goal run 2 seasons per year March through May and September through November. There are 8 regular season games, 1 week of playoffs and week 10 is Superbowl. A family BBQ on week 8 is also included. This outdoor league has seasons running in both the Fall and the Spring. Age group divisions range from 5-6 year olds through to 13-14 year olds, and seasons consist of 8 regular season games plus 2 weeks of playoffs. The leagues are 5v5. 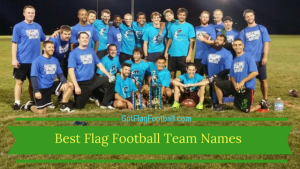 Next Level Sports flag football games are 5v5, and are played on Sundays. Practice is also on Sundays. 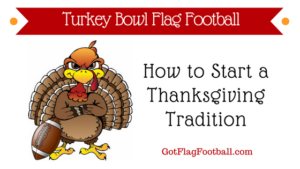 The seasons consist of 7 regular season games plus 2 playoff games, and are co-educational. The season runs from January through to March. Organizes co-educational leagues for children aged from 6-10 years, and a boys only league for 11-13 year olds. Practice sessions are during the weeks, and outdoor games are played on Saturdays. The games are 6v6. California Football Academy offers 6 game seasons plus playoffs running in the Spring and Fall. The leagues are for boys and girls aged between 4 and 14 years old. Both practice and games are held on Sundays, and teams generally consist of 8 to 12 children. The Southern Californian Municipal Athletic Federation organizes leagues for boys and girls aged 8-13. The games are 8v8, and consist of four 10 minute quarters.